Newly appointed chief risk officer, Albert D. Perez shares the threefold process that Hana Business Capital plans to employ in its quest to cater to the underserved lower middle market. Thanks to the small size, depth of knowledge and experience of his team, Perez says Hana has decision making speed unrivaled by competitors. When Hana Financial launched a new ABL group, Hana Business Capital, Perez was eager to get on board. “As we started to discuss things early on when I was interviewing, we felt that there was a grossly underserved market of lower middle-market companies,” he says, adding that companies within Hana’s target market have borrowing needs up to $5 million. Due to the increase in regulatory requirements on commercial banks, Perez says he and Clark Griffith, president and senior managing director of Hana Business Capital, were attracted to the opportunity to start up an ABL shop. “We credit Sunnie Kim, our parent’s CEO, for having the foresight to support this initiative,” he adds. Perez believes non-regulated lenders in Hana’s target market have a number of advantages. “Most commercial banks prefer ABL deals in the $10 million and above range and view anything less as too small for the costs involved,” he explains. “Non-regulated lenders very seldom require personal guarantees, contrary to commercial banking policy, and do not burden borrowers with a large number of financial covenants. To really stand out from the crowd, Hana plans to differentiate itself through its ability to provide timely responses to prospects as all of thecredit committee members, including Perez, are located in the same office. “We don’t have a bureaucratic process where it’s back and forth between business development officer and a credit officer. We have unified roles within our group and so that kind of hands-on approach and the speed in which we can respond to the market will help us, more so than our competitors,” he says. There is one additional differentiator, and that is the culture at Hana, which is a lender with global perspective. Sunnie S. Kim, who founded Hana Business Capital’s parent 21 years ago, is of South Korean descent. Many of Hana’s borrowers, of which approximately half are of Korean origin, can be assured that they are working with a lender that is culturally sensitive. Additionaly, Griffith lived over 12 years in Japan and travelled several years back and forth to Spain. Hana brings this global perspective to lending and understands the importance of international trade. Another aspect of Perez’s role includes informing his factoring and SBA colleagues about solid leads for the division. Since the ABL factoring and SBA divisions analyze credit differently, this approach enables Hana to leverage opportunities. To ensure fiduciary duty and remain objective, Perez says third party field exams are required to independently assess a prospect’s books, records and inventory to determine the liquidation value of the asset pool in the event that Hana is exposed to the collateral. Looking ahead at the possibility of increases interest rates, Perez says the net effect would be neutral for Hana, provided it matches funds. “From a practical standpoint, Hana Business Capital will be sourcing capital/debt on a floating rate and in turn, will redeploy capital based on floating rates such as LIBOR and WSJ Prime,” he explains. On the positive side, Perez says increased interest rates would improve risk returns for the ABL industry. “The cons are overall cost of funds may also increase for lenders like Hana, which will experience tighter margins with existing transactions that may be priced lower than the newer higher priced deals in the market,” he adds. Perez sees regulation as both an opportunity and a concern for the ABL industry’s future. “The non-bank financial ABL lender space should strengthen and grow as regulations increase,” he explains. 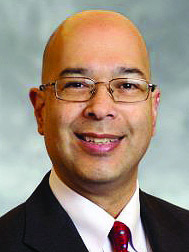 “This means that overall returns can grow, which over time will allow lenders to take more risk and allow entrepreneurs and business owners to have more access to capital.” Perez believes this could enable the industry to return to its roots, as a non-bank financial space, with rates that offer lenders increased returns and borrowers their desired capital.